Oil prices dipped on Friday, easing from multi-year highs in the previous session on hopes that alternative supplies could replace a looming drop in Iranian exports from U.S. sanctions, Reuters reports. The United States plans to re-introduce sanctions against Iran, which produces around 4 percent of global oil supplies, after abandoning an agreement reached in late 2015 that limited Tehran’s nuclear ambitions in exchange for removing U.S.-Europe sanctions. The sanctions come amid an oil market that has been tightening due to strong demand, especially in Asia, and as top exporter Saudi Arabia and No.1 producer Russia have led efforts since 2017 to withhold oil supplies to prop up prices. Brent crude futures were at $77.34 per barrel at 0451 GMT, down 13 cents, or 0.2 percent, from their last close. Brent the previous day hit its highest since November 2014 at $78 a barrel. U.S. West Texas Intermediate (WTI) crude futures were down 7 cents at $71.29 a barrel, still not far off Thursday’s November 2014 high of $71.89 per barrel. Many analysts expect oil prices to rise significantly, as the market adjusts to looming U.S. sanctions and Iran’s exports sink amid strong demand. “We expect that Iranian exports will fall well before the 180-day period until oil sanctions will be in effect, similar to the 2012 sanctions. We expect that around October Iranian exports will be down by 500,000 barrels per day (bpd) and eventually fall by 1 million bpd in 1H19,” U.S. investment bank Jefferies said in a note on Friday. 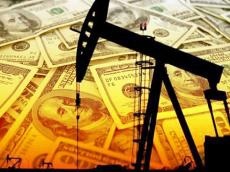 There are, however, signs that other suppliers from within the Organization of the Petroleum Exporting Countries (OPEC) will step up output to counter the Iran disruption. “The market is now focused on OPEC and other producers’ ability to react to this potential supply disruption,” ANZ bank said on Friday. “Investors are increasingly viewing Kuwait and Iraq as the producers with the best ability to raise output quickly in response to any fall in Iranian exports,” it added. Outside OPEC, soaring U.S. crude oil production may help fill Iran’s supply gap, hitting another record last week by climbing to 10.7 million barrels per day (bpd). That’s up 27 percent since mid-2016 and means U.S. output is creeping ever closer to that of top producer Russia, which pumps around 11 million bpd.